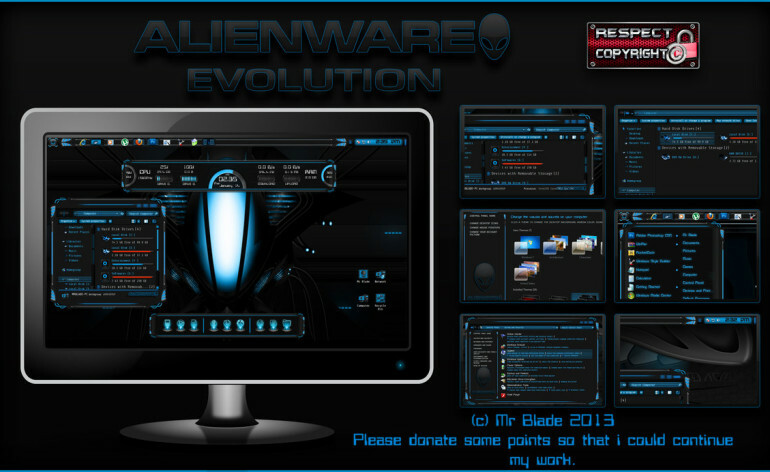 Finally after some hard work i am done with my new theme Alienware Evolution. Hope you like my work! Wanna say a big thanks to all my friends who’s work has inspired me. 5 wallpapers + logon screen. 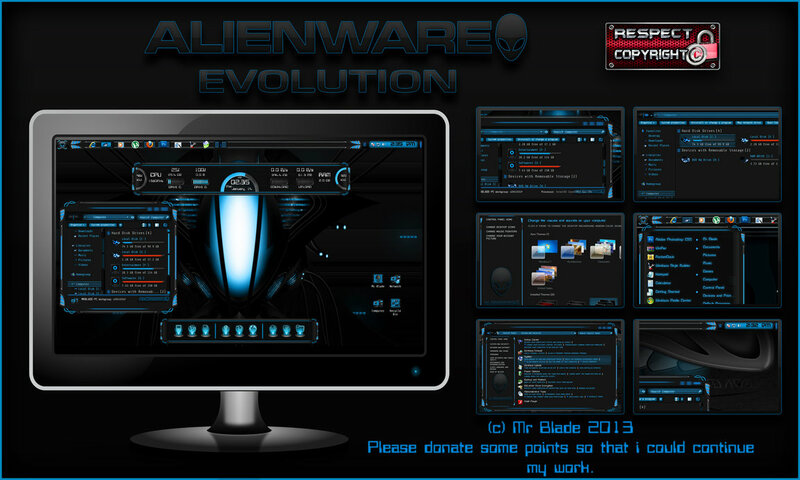 7tsp Alienware breed icon pack. I worked hard to make this theme for your enjoyment so show respect and say thanks by donating some points to me so that i may offer themes like these in future also! So please help me! Further the more you fave and more you commnet, the more i become happier!